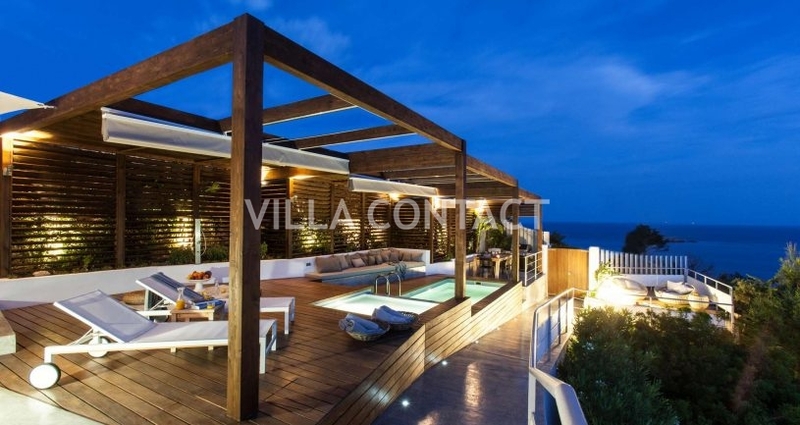 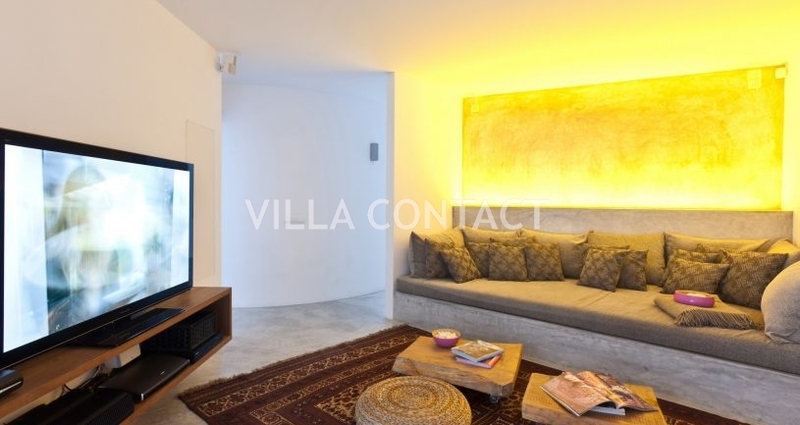 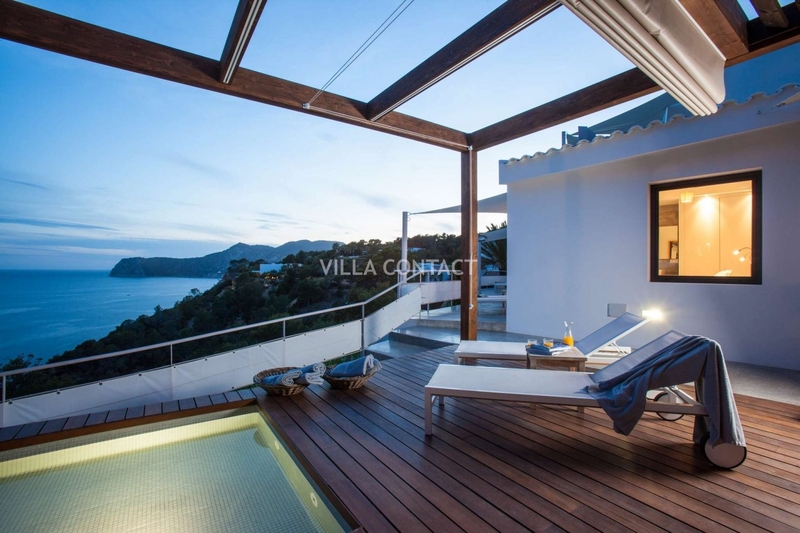 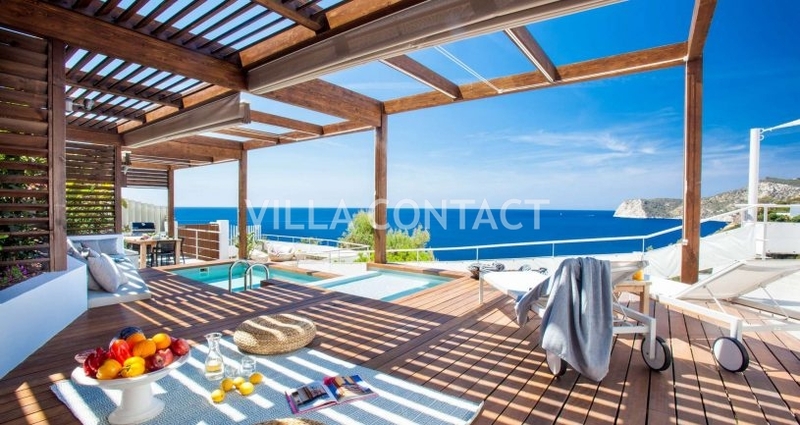 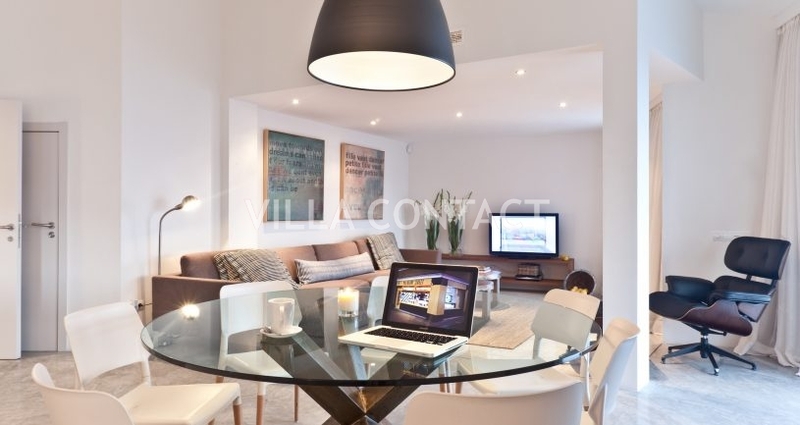 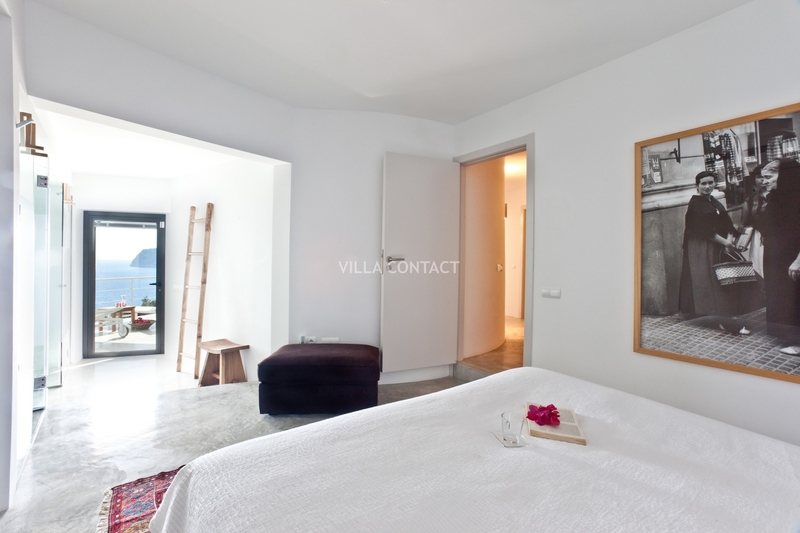 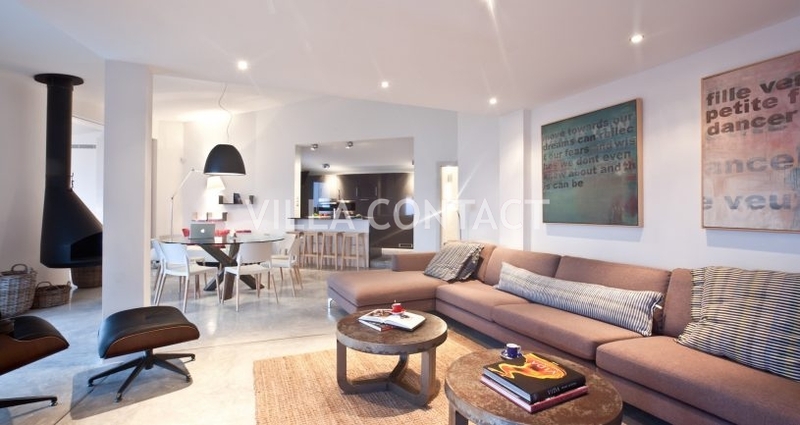 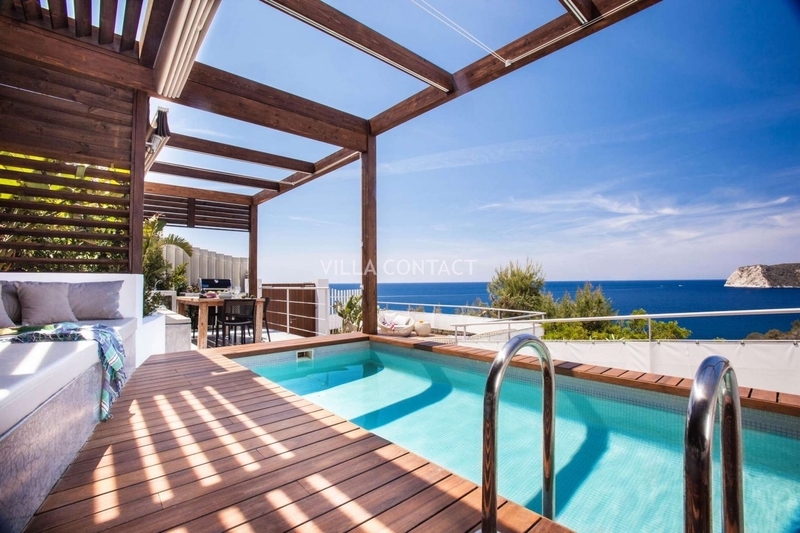 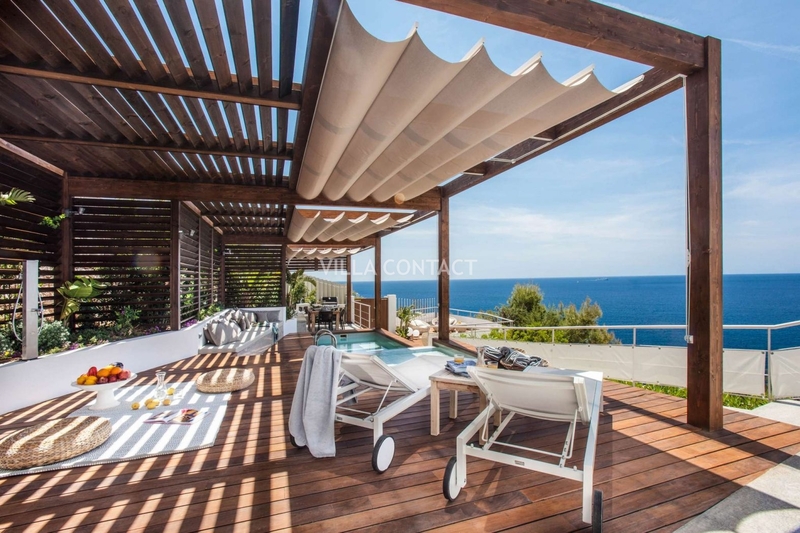 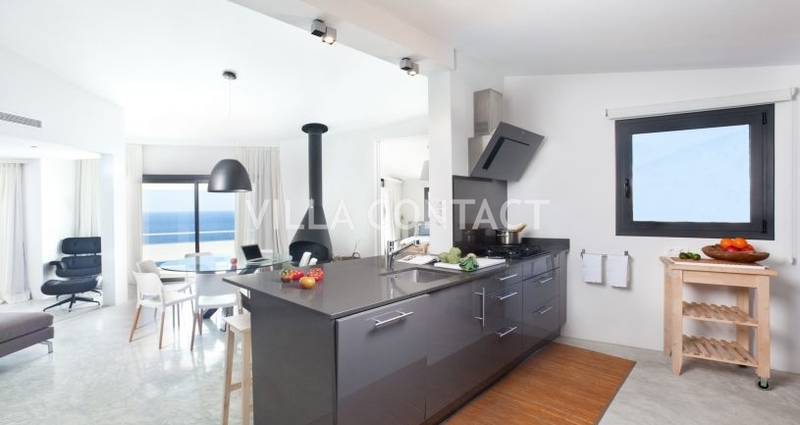 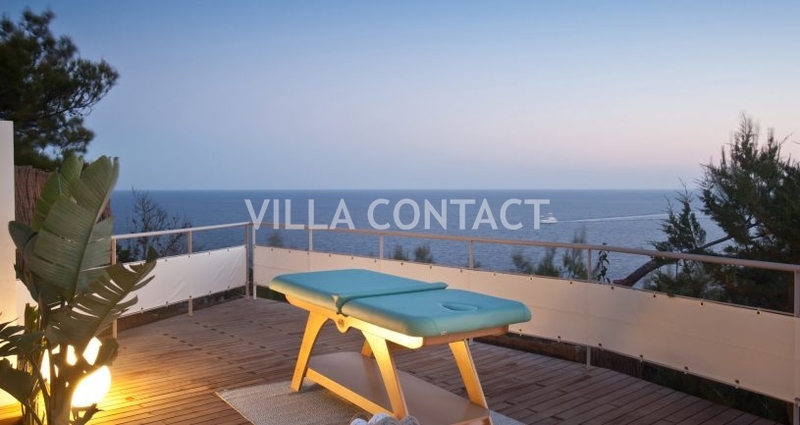 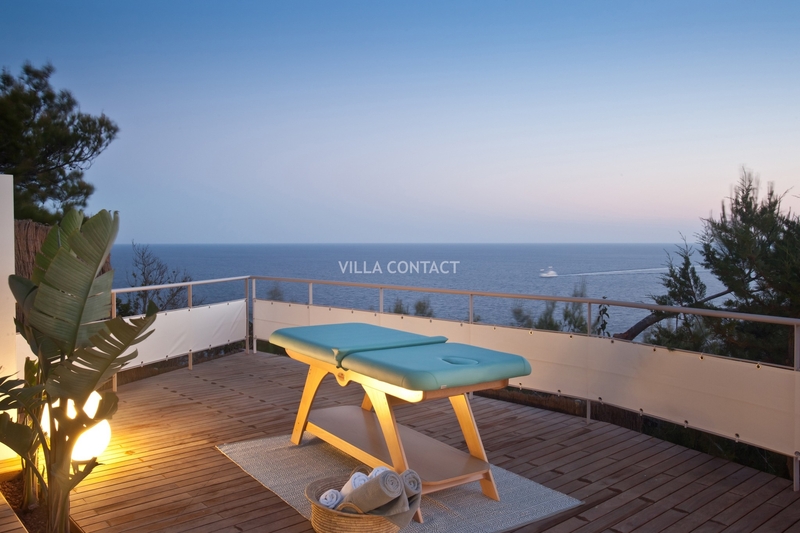 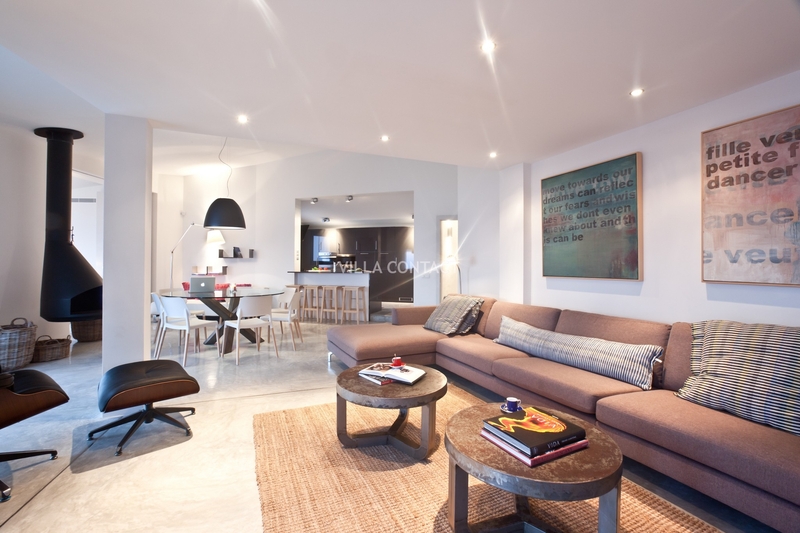 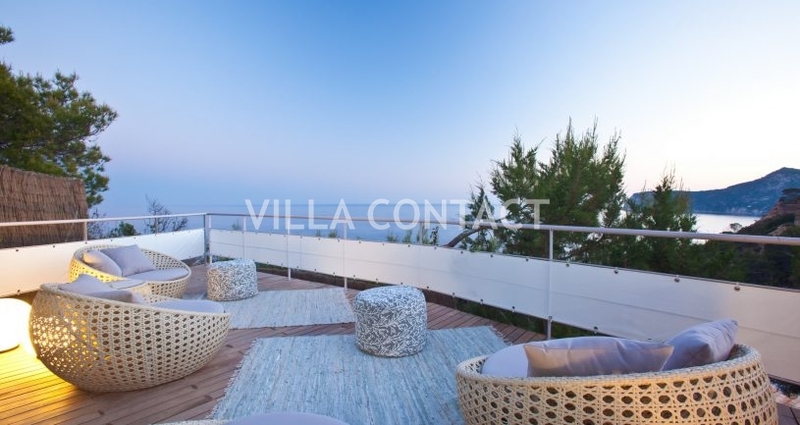 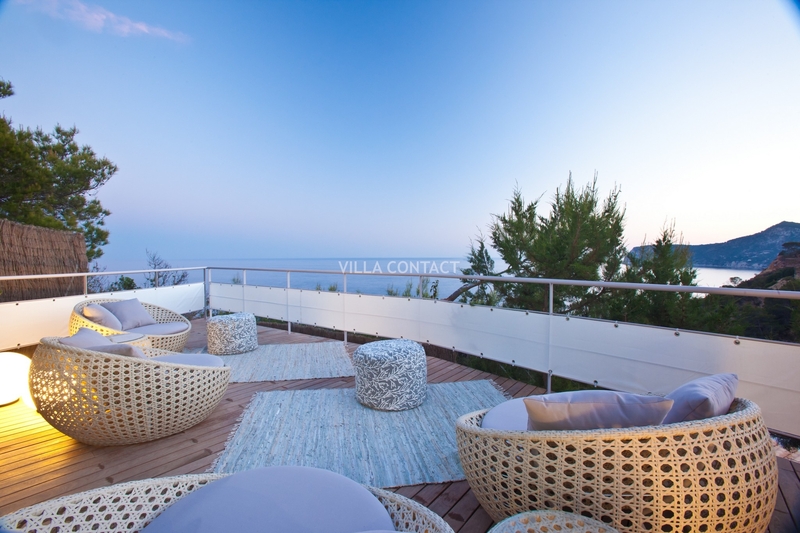 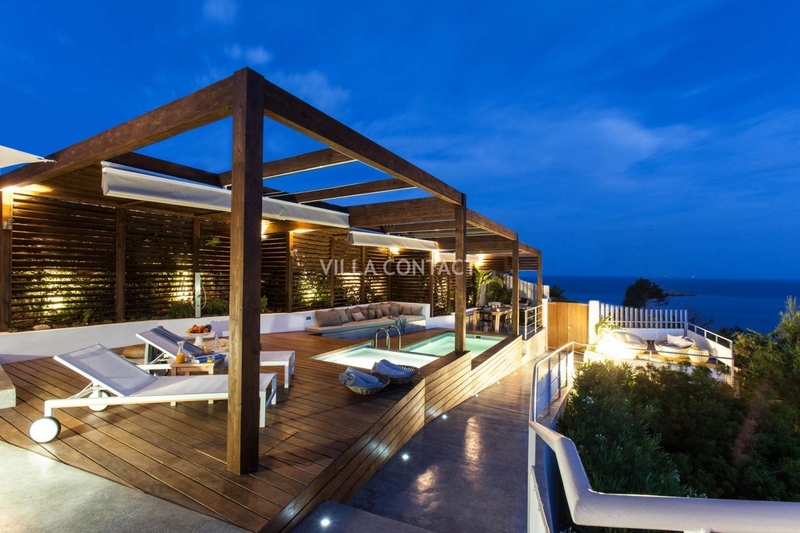 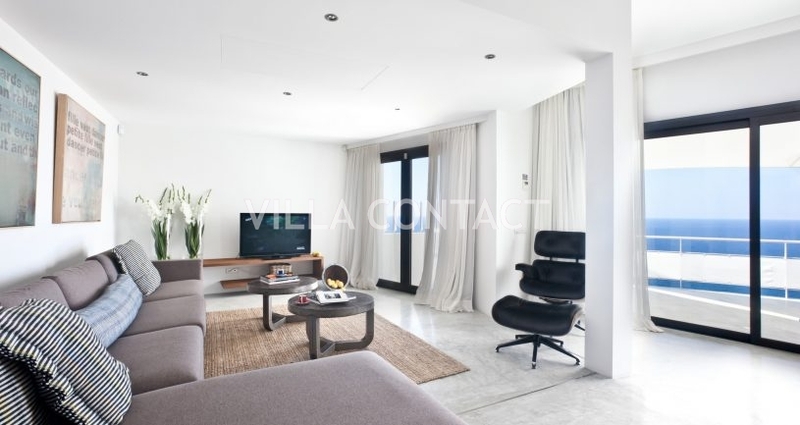 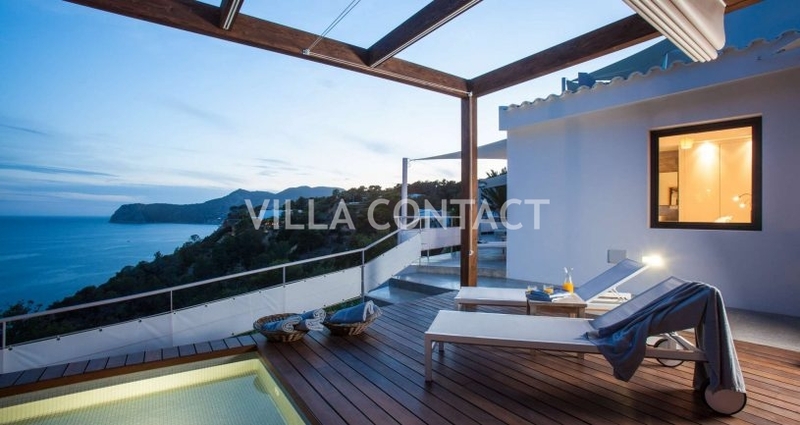 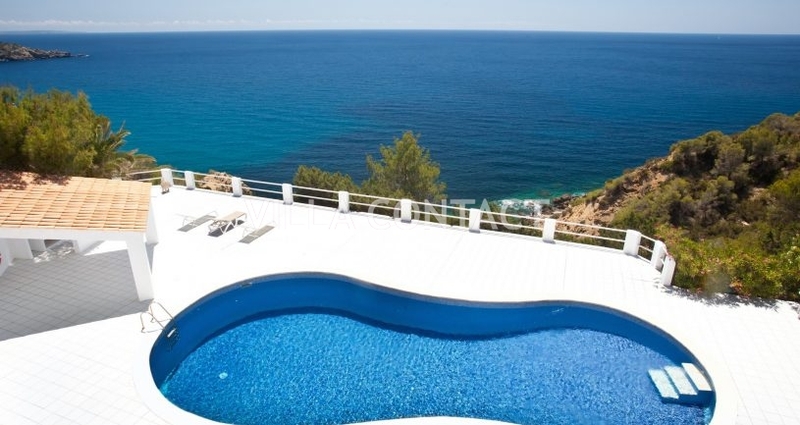 Front-line, sea-view property for rent in the the prestigious residential estate of Vista Alegre in Es Cubells. 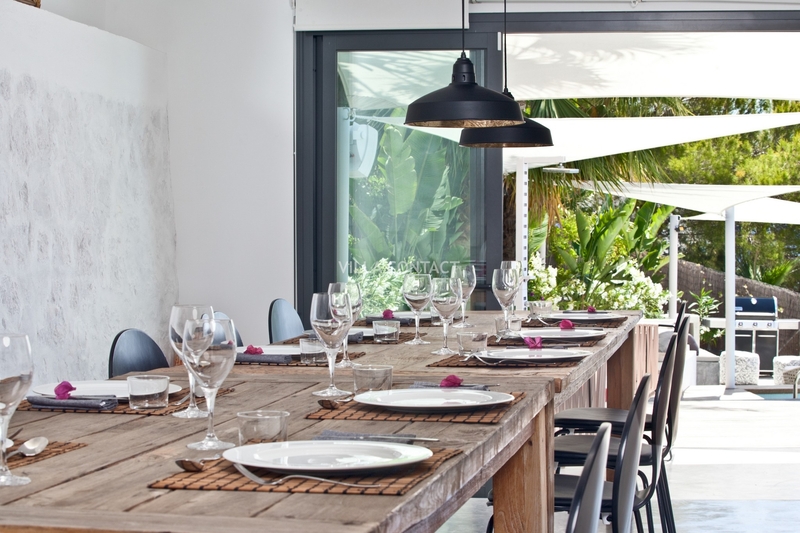 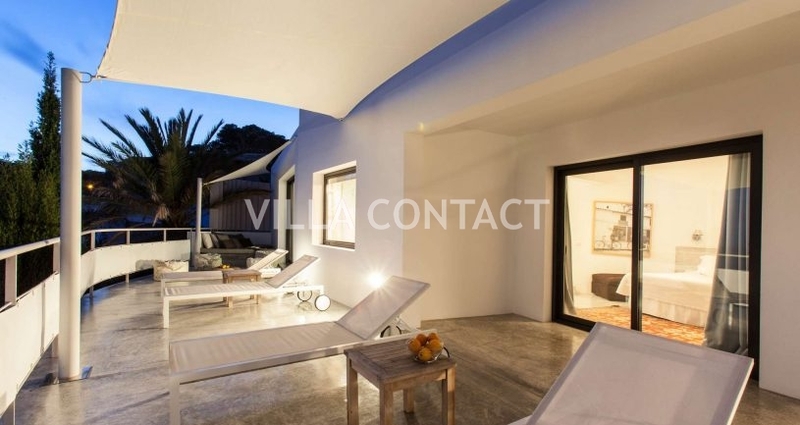 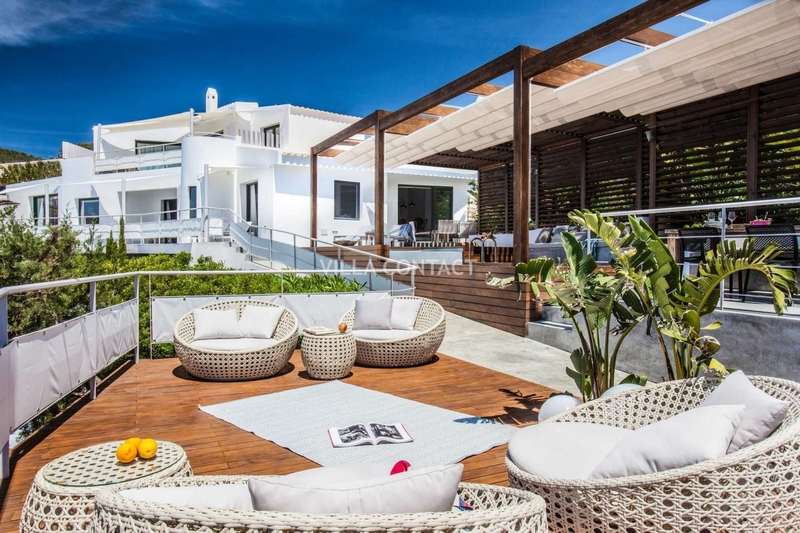 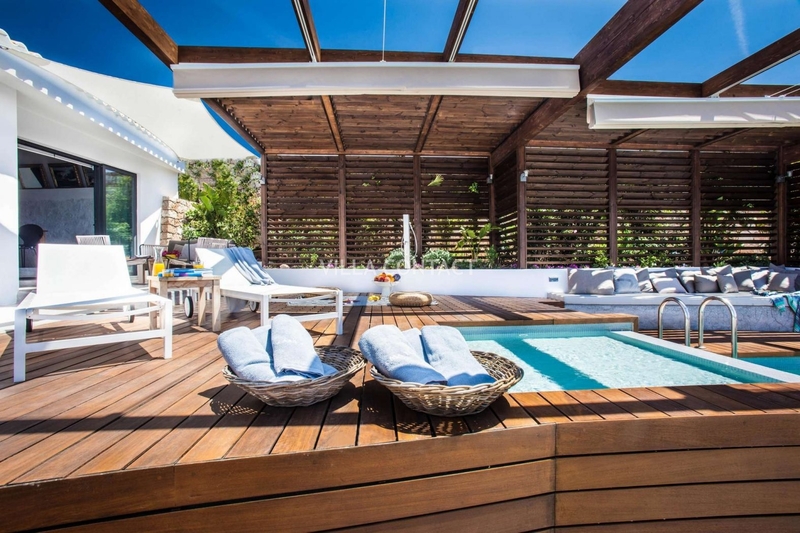 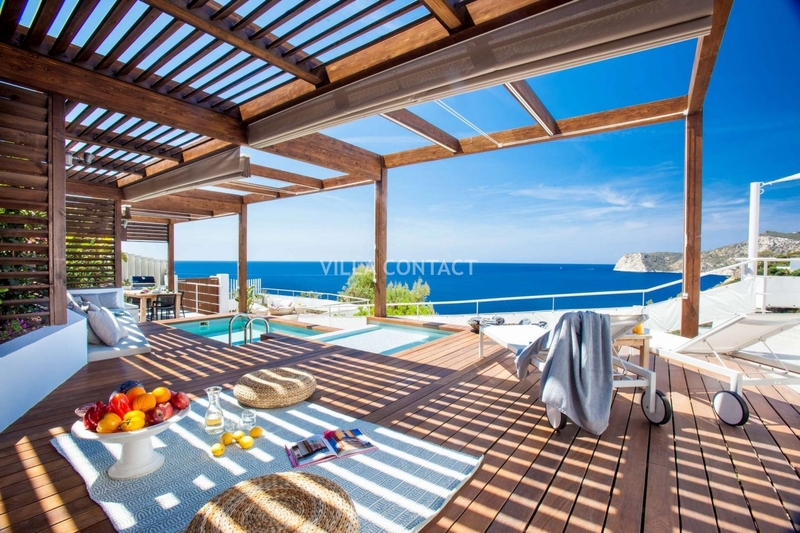 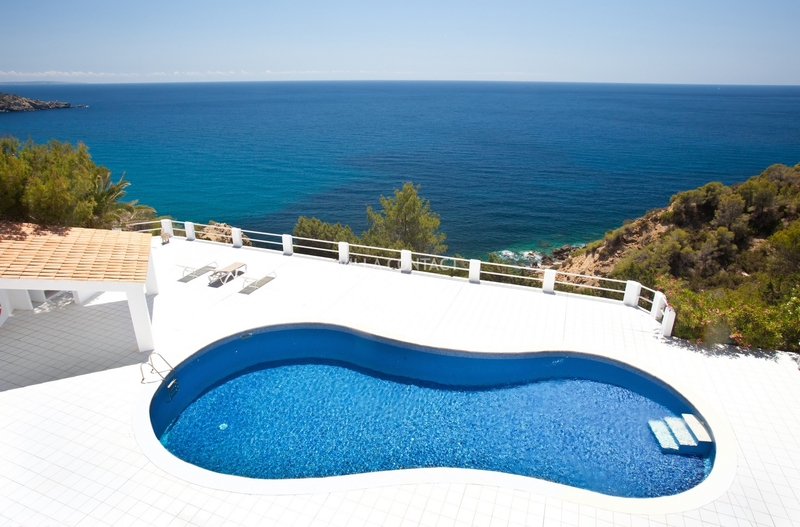 This luxury villa is ideally located near all the popular beaches of the south west, Ibiza’s airport and vibrant nightlife. 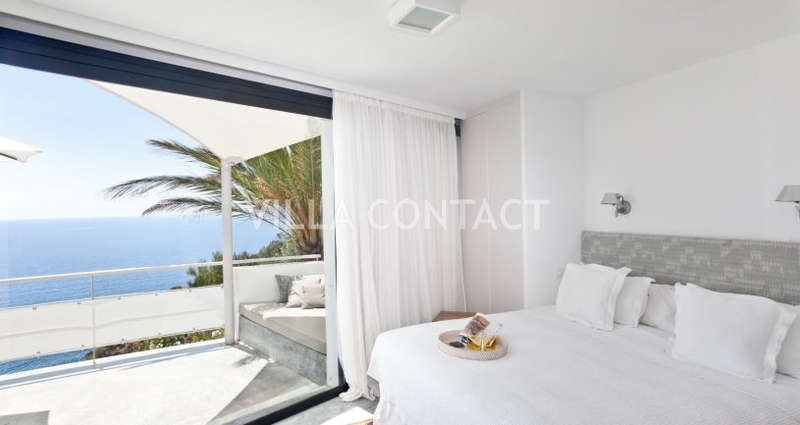 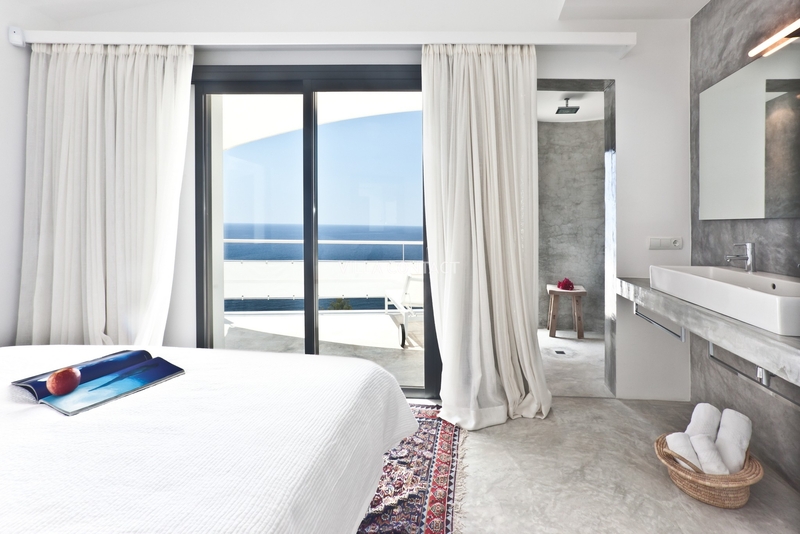 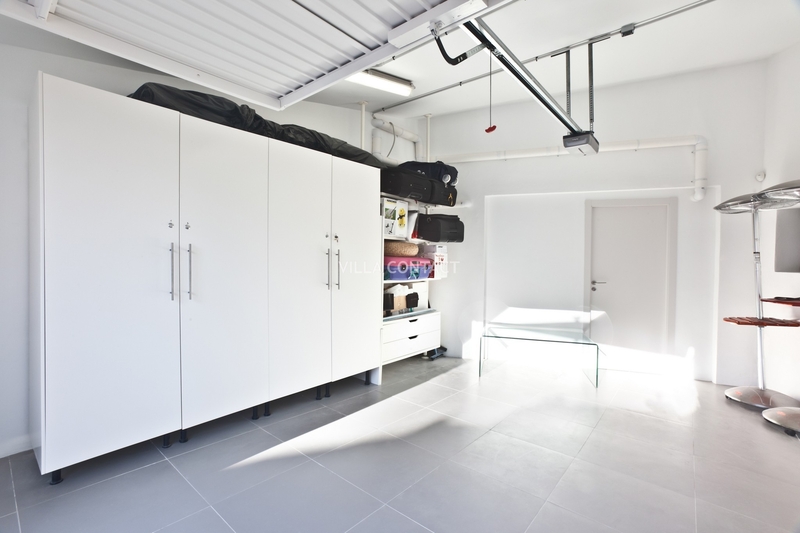 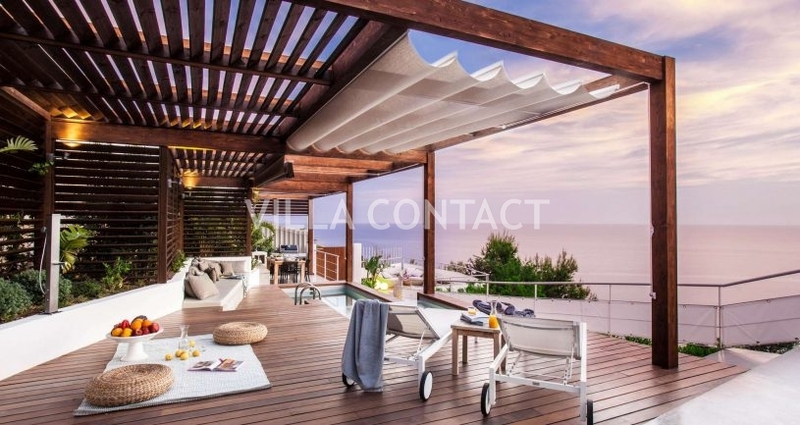 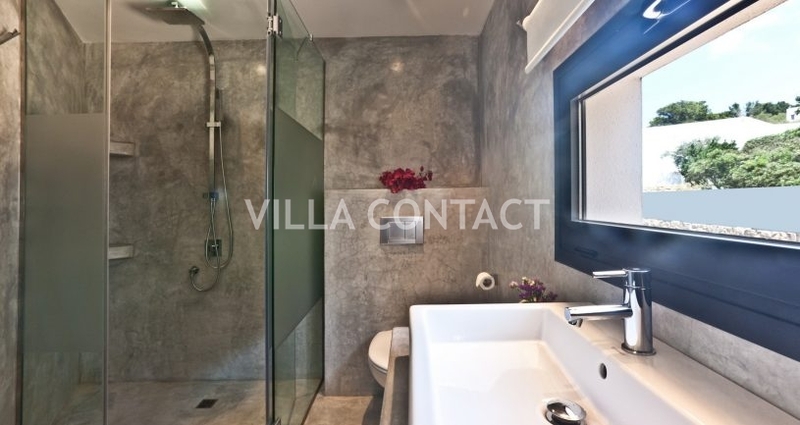 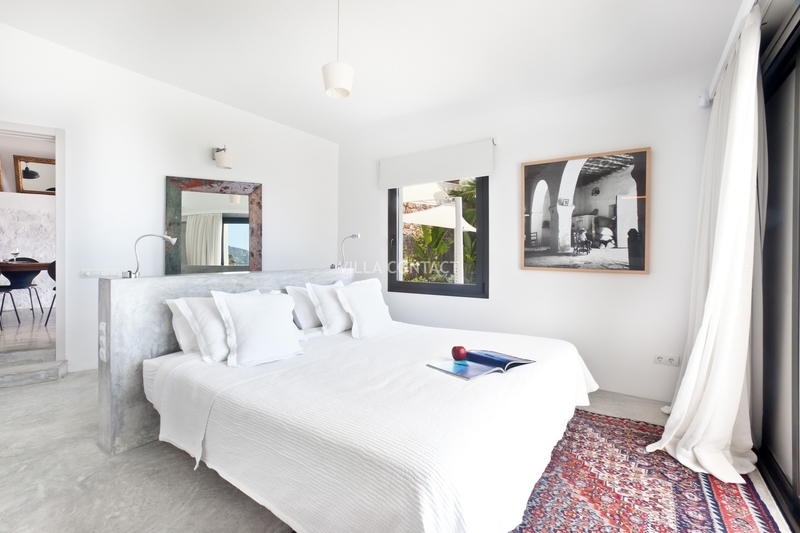 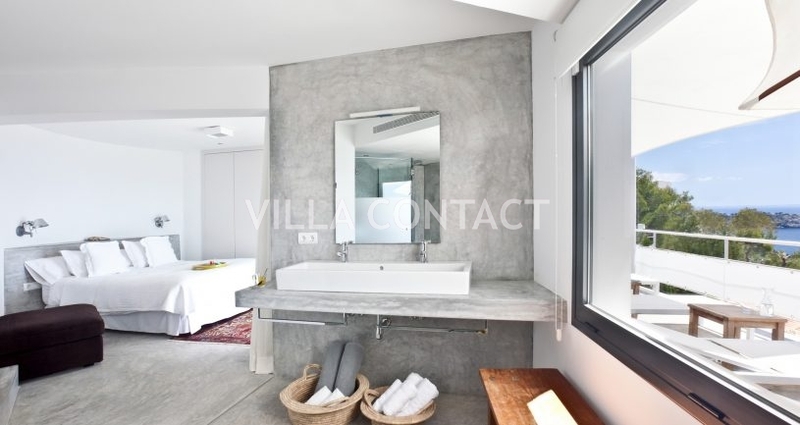 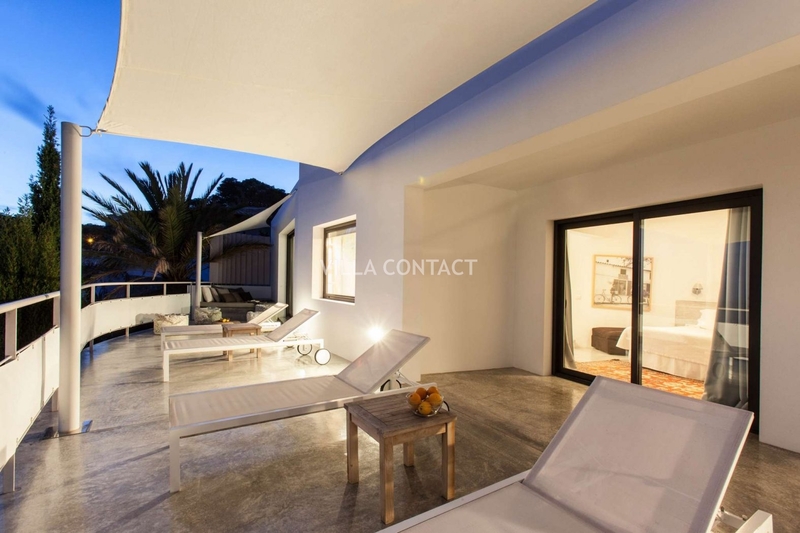 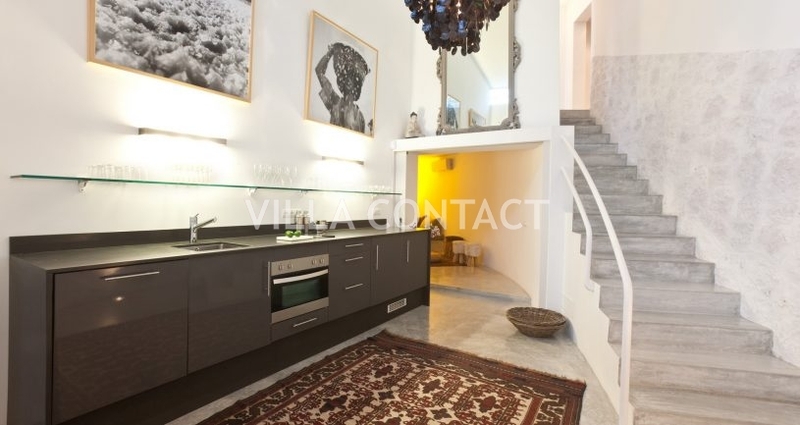 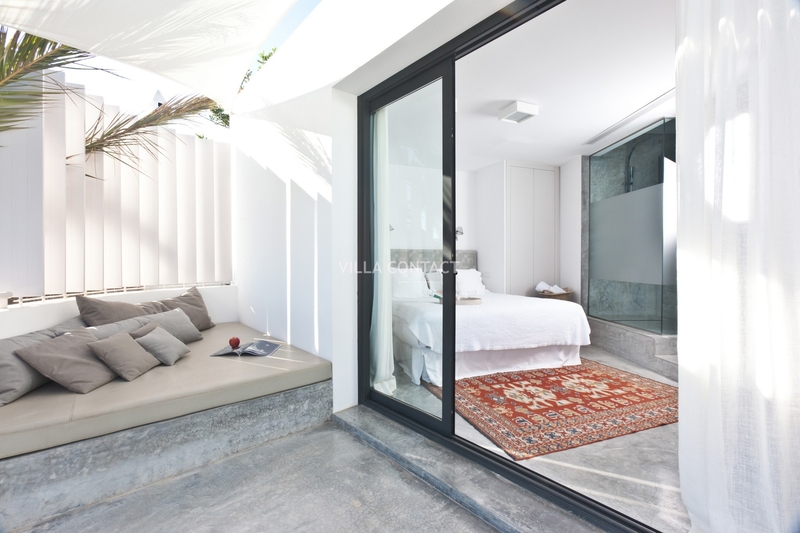 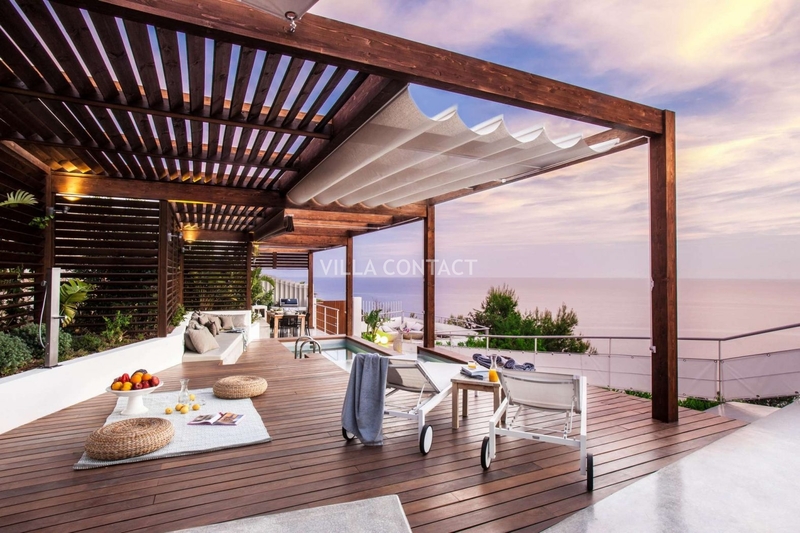 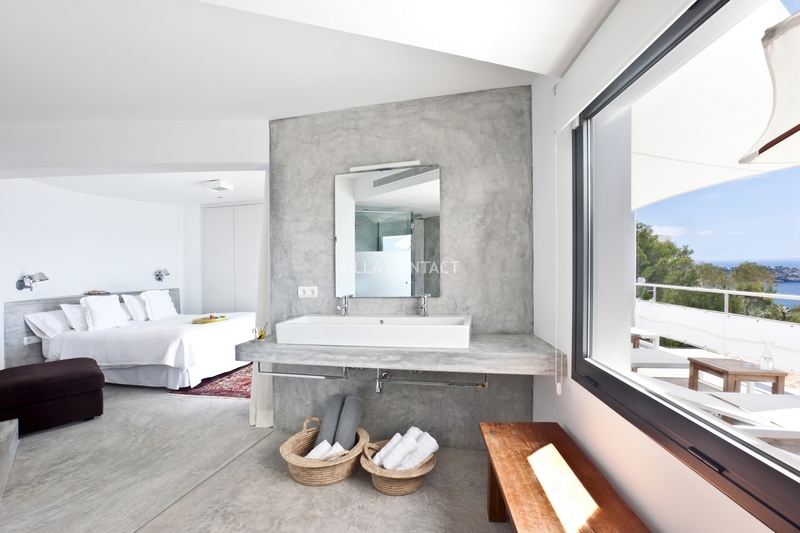 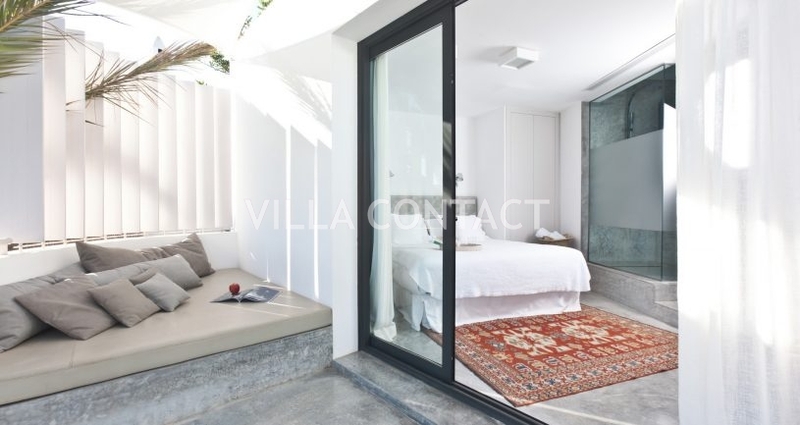 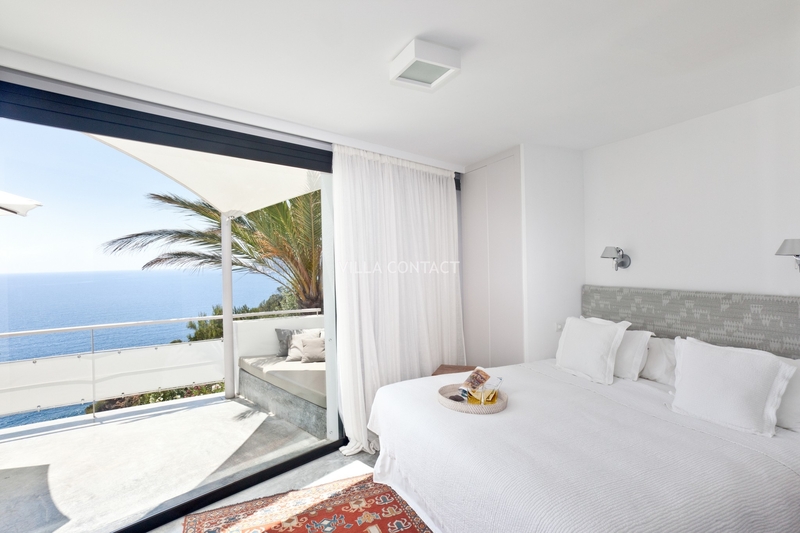 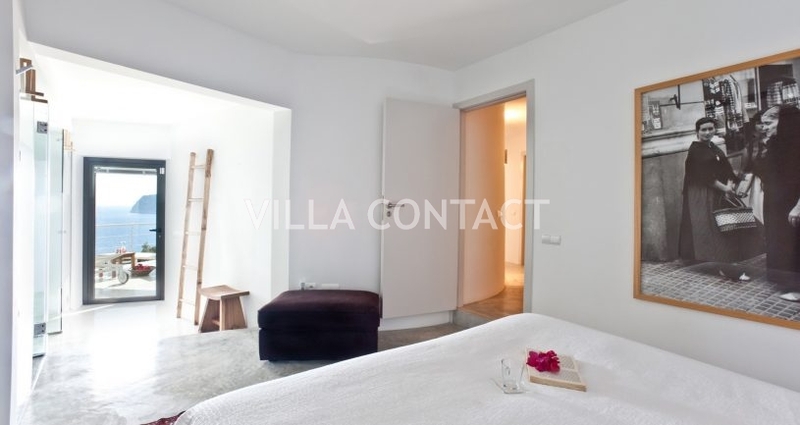 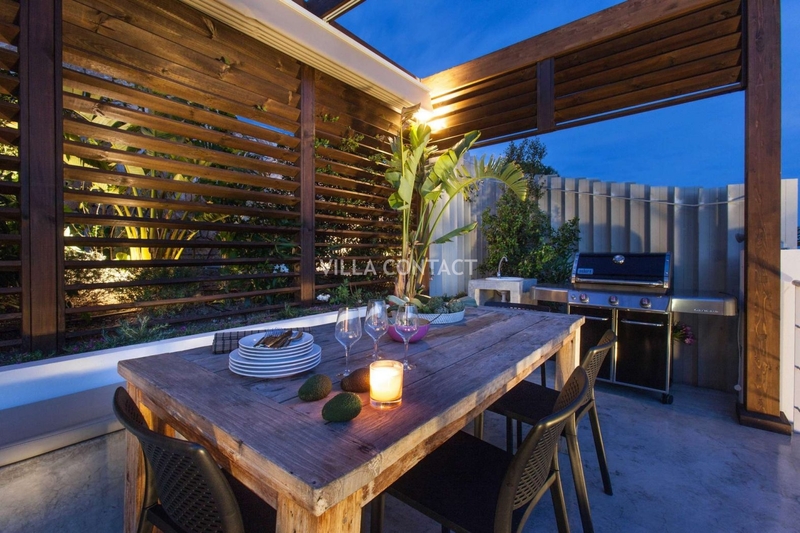 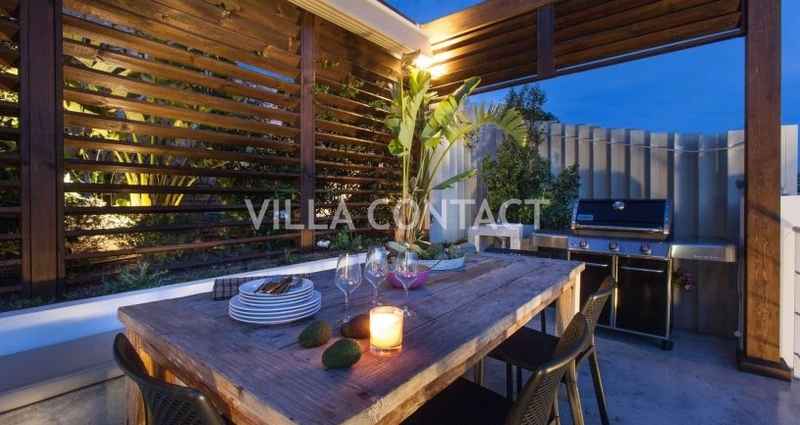 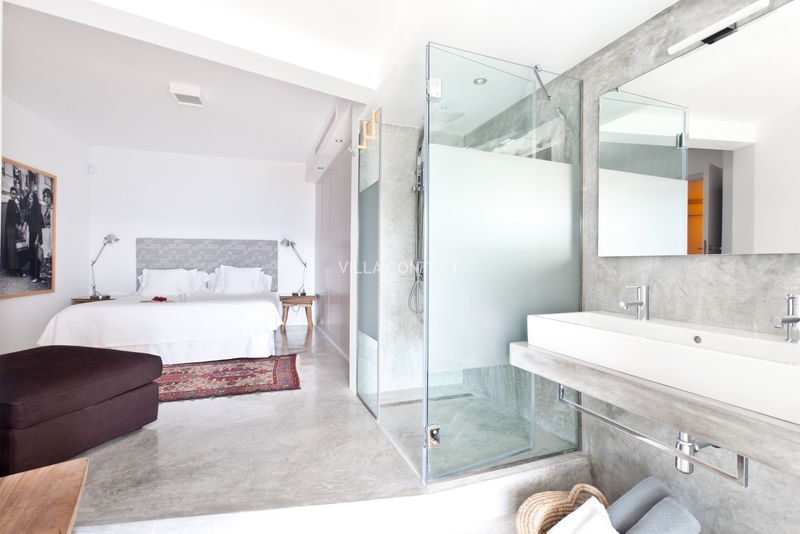 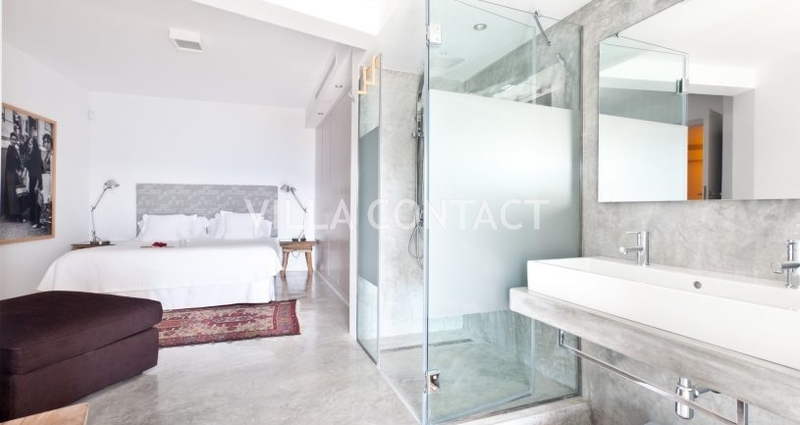 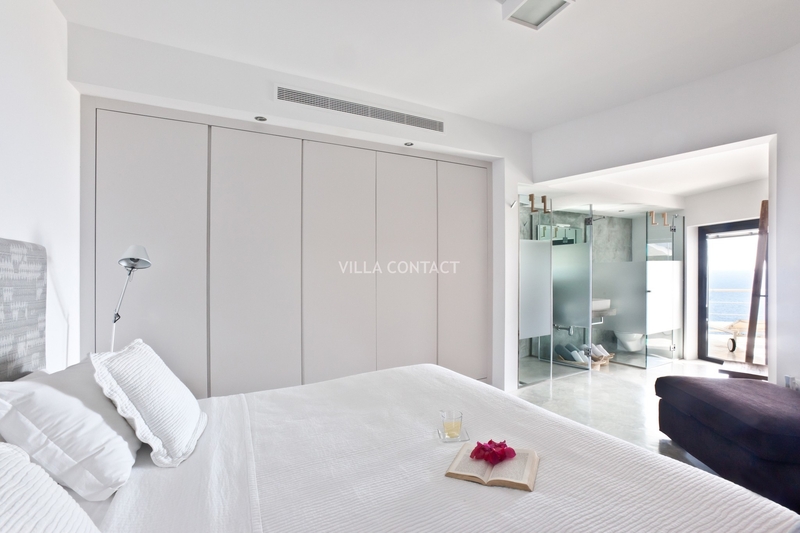 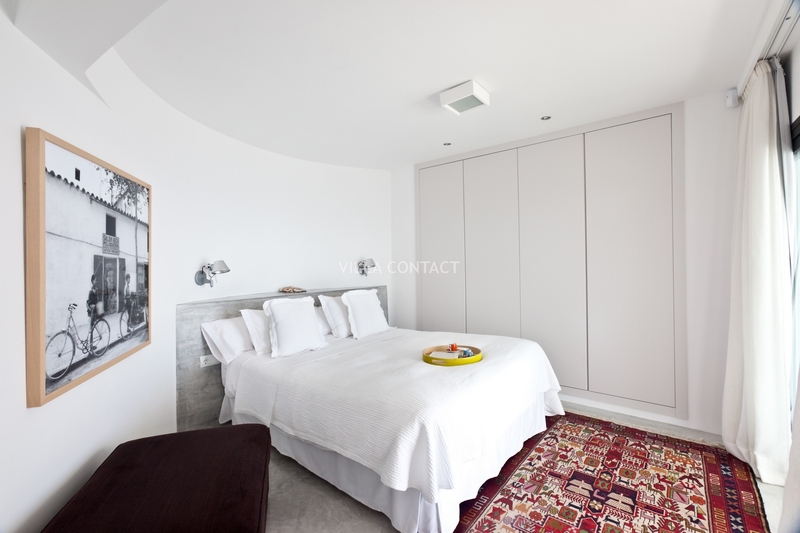 The property has 5 ensuite bedrooms each with airconditioning and their own private terraces. 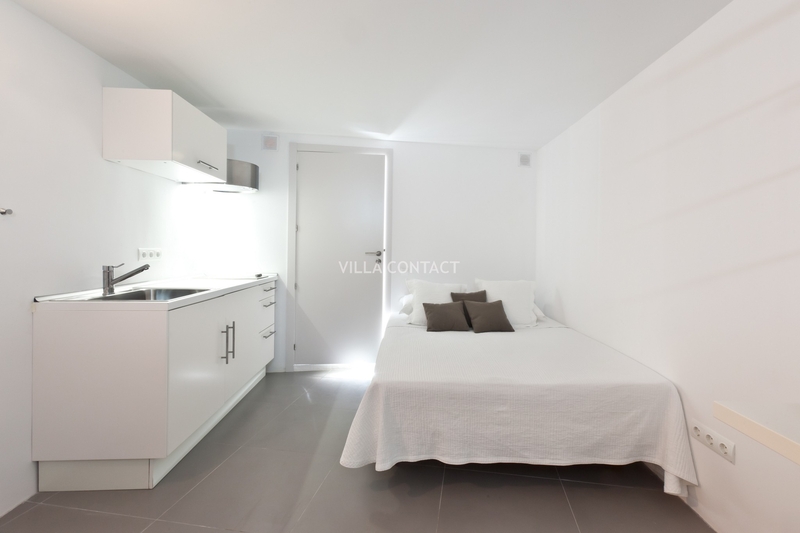 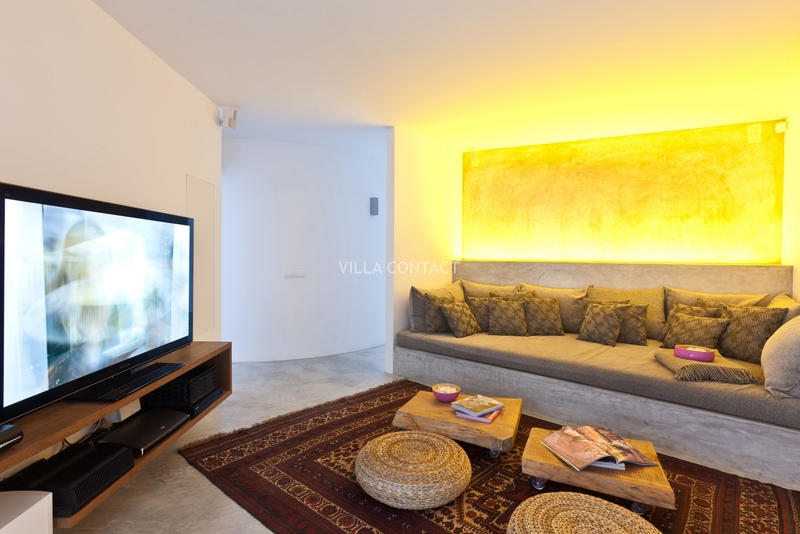 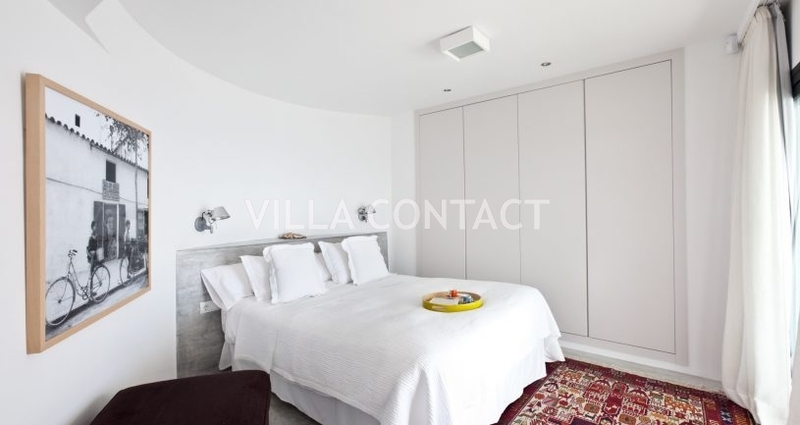 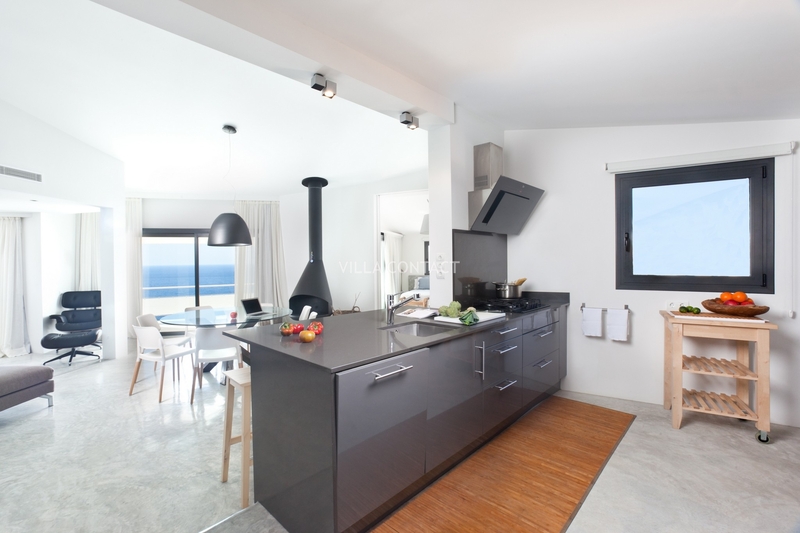 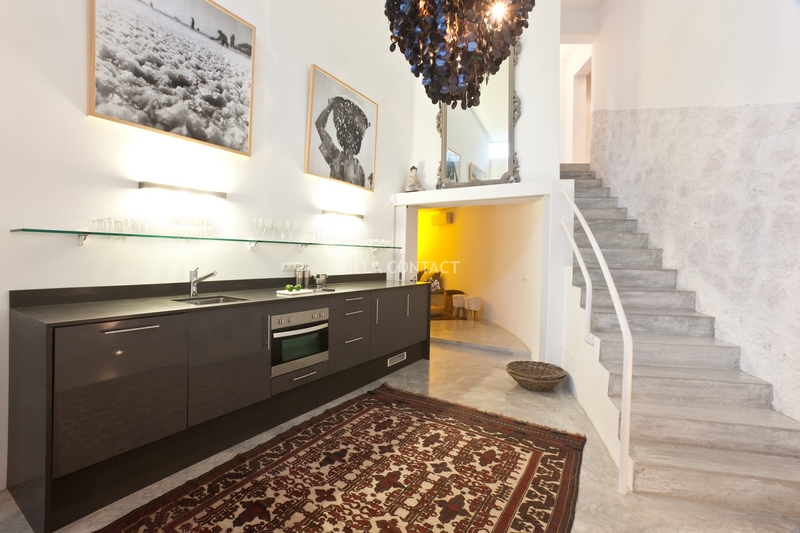 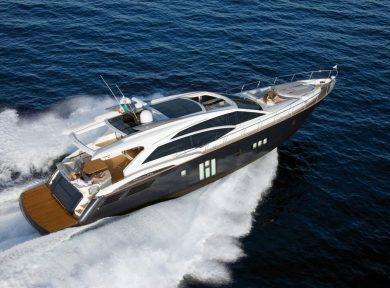 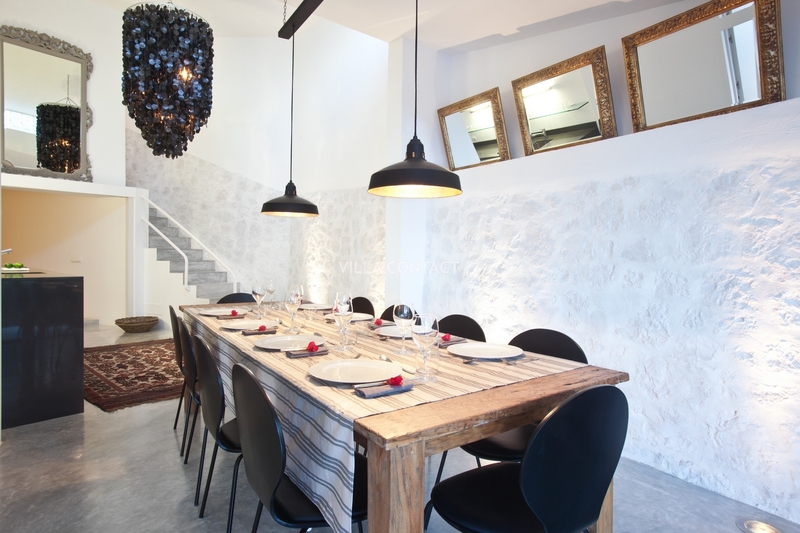 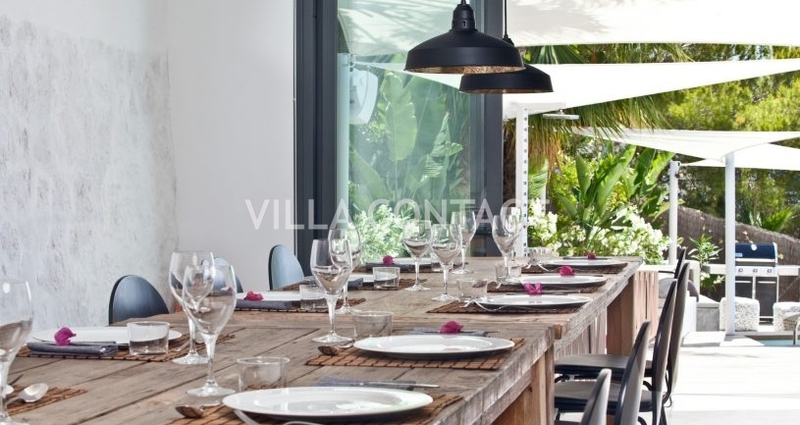 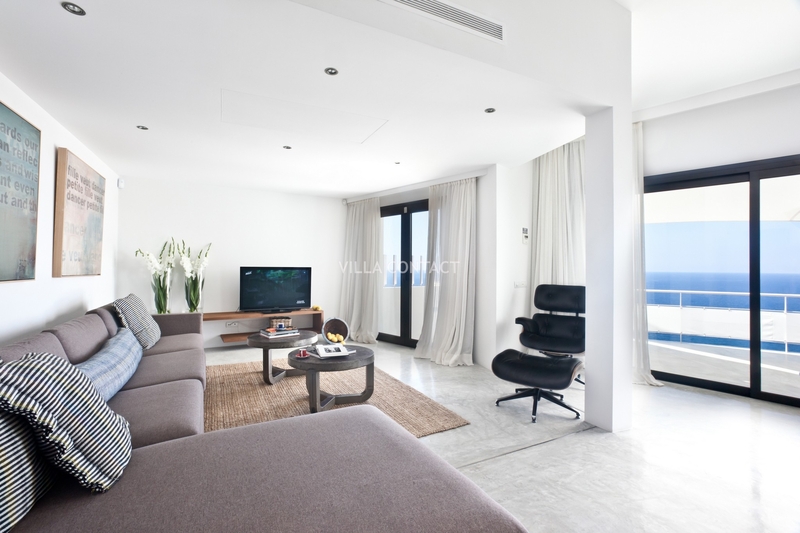 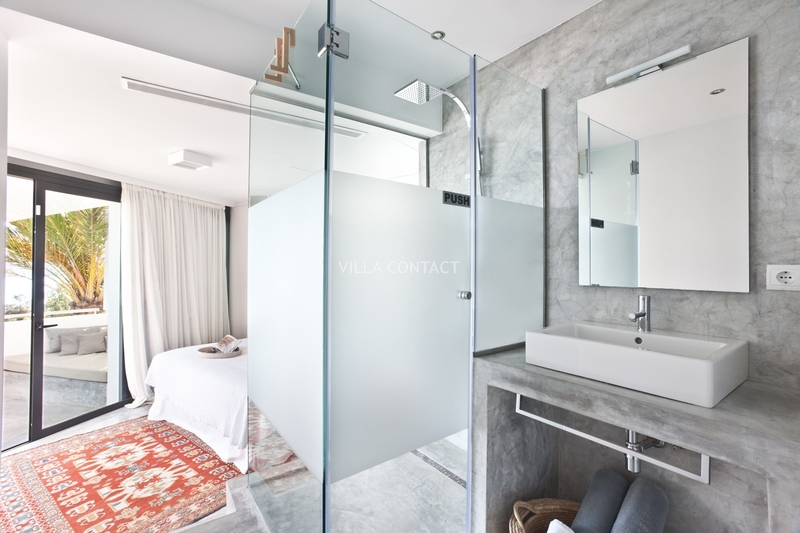 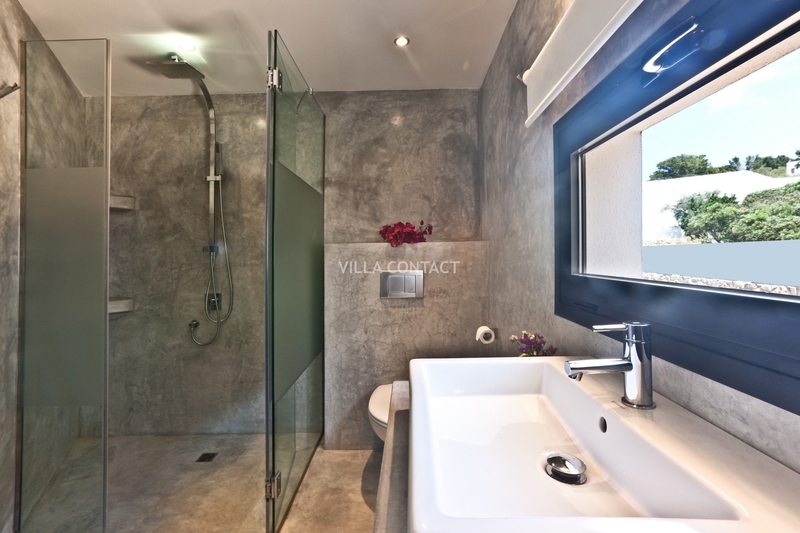 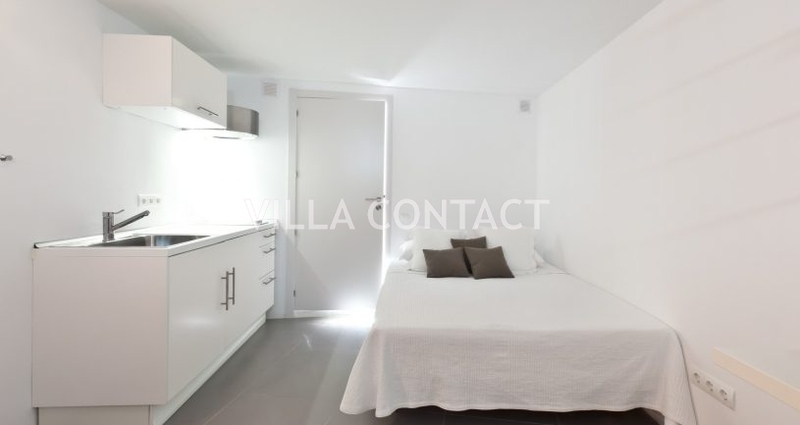 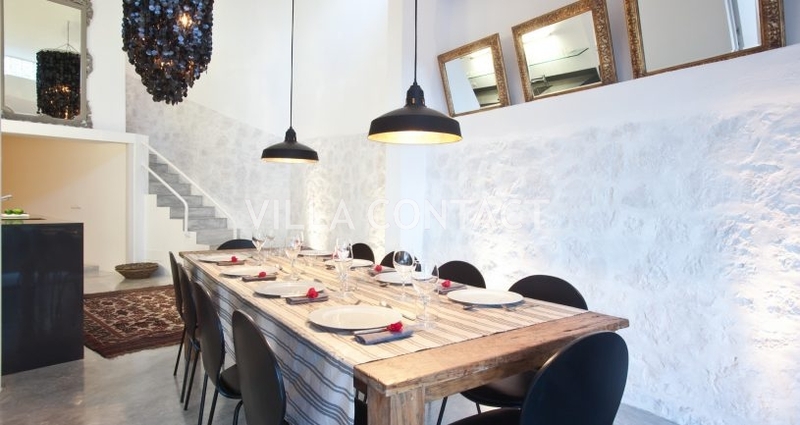 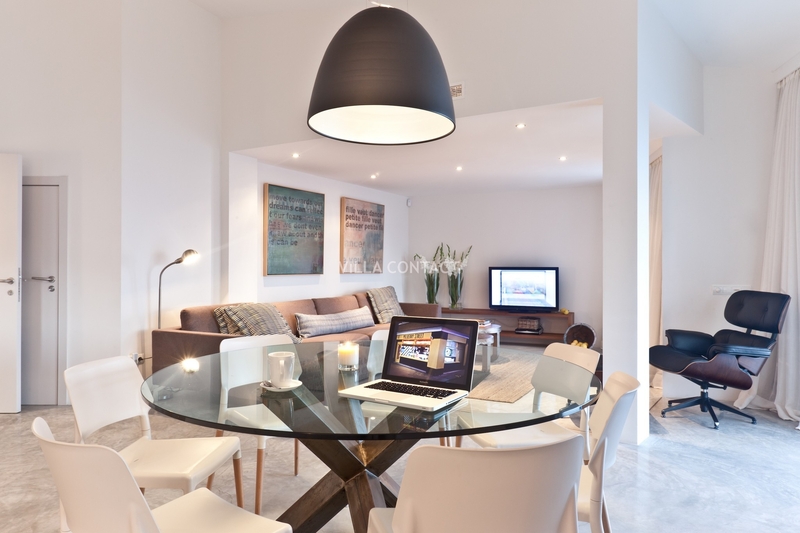 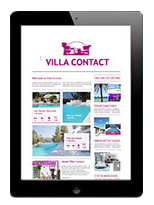 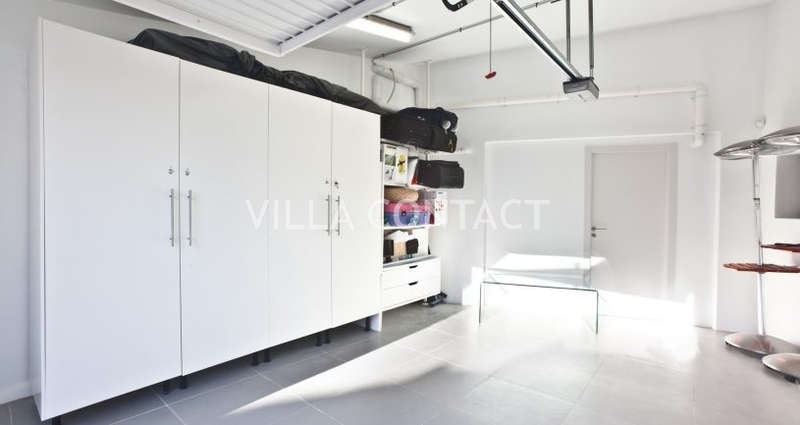 The villa offers all the modern comforts and latest technology including a cinema room and a state of the art kitchen. 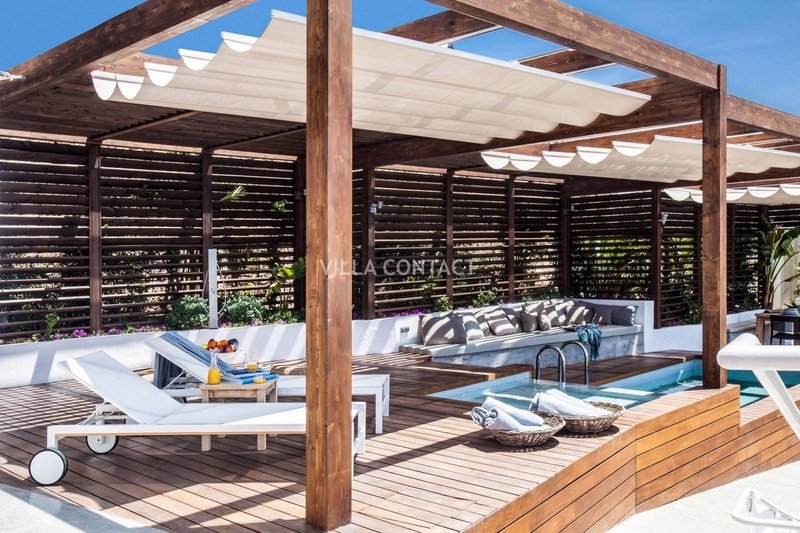 The chillout areas and outdoor terraces surrounding the pool deck offer an ideal place to kick back and relax, sunbathe and take in the beautiful views across the mediterrenean sea.